All day & Everyday at Pre-K VSA! Question: How can getting to know each other help us unlock and begin our Preschool Magical Adventure? Description: A map of the school has been delivered to us in our section. We must follow the given directions in order to get to the treasure box that is holding our Magical Adventure. In order to unlock this treasure box, we must get to a specific place in our school and find a hidden picture of our friend. Attached to this picture is a key. We can only take the key, once we get to know our friend on that picture by questioning him or her, by reading the answers their mom and dad have shared with us as well as by opening their secret bag holding their four secret items. In order to begin our mission, let's get to know all about our teacher's first!!! Question: Boys and girls, Dr. Bunsen Honeydew has transformed our Halloween candy during one of his experiments done in his lab, into different Halloween creatures! Will decoding his message help turn them back? Will we get our candy delivered in time for our Halloween Party? Description: During this theme, kids received a mysterious package from Dr. Bunsen Honeydew. Inside the box, a piece of puzzle along with a coding mat was found. The message written in back of the puzzle piece was a Halloween riddle that was shaped into a specific letter. As a team, we had to figure out which Halloween creature Dr. Bunsen Honeydew was talking about. Following his coding instructions, we placed the discovered letter on the coding mat. After 14 different packages received, we finally succeeded in decoding Dr.Bunsen Honeydew's message: Happy Halloween! This saved our Halloween party by turning all the Halloween creatures in his lab back into candy. So many different and fun activities were realized throughout this theme, that we opened a special Dr. Bunsen Honeydew Museum in his memory and invited all families to come admire all of our hard work! We will always remember the last package we received from him...so many candies appeared in a cauldron after following his Halloween potion recipe for us to enjoy! We were all so very excited and had so much fun making the best candy skewers ever! What a great way to end this theme! We will always remember his lab partner Dr. Beaker as well. Question: How can we get the Grinch's heart to grow bigger with the help of our Christmas Spirit shared altogether? Description: A poster of the Grinch appeared in our Prek section. Every time we made a good action or showed any sign of our Christmas Spirit, we added a heart on the Grinch. This made his heart grow bigger and bigger each day. In the beginning, we read the story of the Grinch to better understand who he was and where he was coming from. Lots of questioning and great group discussions. We then received a note from the Grinch. He had left us some green magical powder. The note said that we had to sprinkle this green dust on the floor to see what would happen. After naptime, a Christmas tree appeared as well as Christmas lights and decorations. We were very excited to decorate our Christmas tree together in our class and to show the Grinch our great friendships. We also showed the Grinch how to sing Christmas Carols and how to prepare a Christmas show for our family. We showed him how to decorate our homes, we showed him how to make gifts to the people we love and how to wrap up these gifts. We also showed the Grinch how to make good actions, such as baking and decorating a cookie for our friend. With the help of costumes and stations, we showed the Grinch what Santa Claus looked like as well as his job and we showed him what Santa's elves looked like in their toy shop. In all, we succeeded in making the Grinch's heart grow bigger in time for Christmas. We ended this theme by going on a beautiful outing to see the Grinch movie at the theatre. A great theme to be remembered by us all! Question: What does it mean to be ready for kindergarten and how can we get ready in time for next September? Description: This was a short theme that permitted us to secure the kids with their big transition that is soon to come: Kindergarten. Our main goal was showing them that going to kindergarten is cool and is quite awesome! That becoming a big kid next year is very exciting as well!!! We thought that meeting their kindergarten teacher, meeting the classroom, lining-up like kindergarteners, showing them their lockers would reduce a certain level of anxiety that some kids are presently dealing with. During our Play 5 activities the kids got to dress-up in the school uniform. They also worked on different concepts such as numbers, letters and sounds. We worked on basic notions such as colours, shapes, patterns and emotions. We experienced floating and sinking as well as measuring, weighing, classifying objects and making predictions. Several activities were done in the kindergarten class where we used the material found there. Throughout this theme, the children felt very proud to be a kindergartener and had fun trying to write in cursive! A beautiful way to reassure the kids. *More visits to kindergarten will follow in the month of May in order to make this transition easier for our little sweethearts. 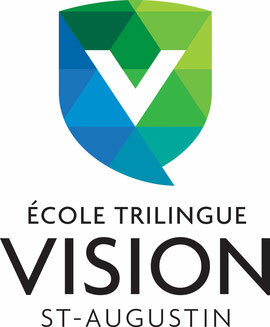 Question: How can we create our very own Helping Hand Company in order to help the important people surrounding us here, at Vision St-Augustin?